The wait for Violet Evergarden was a long one, but it was more than worth it. Boasting top of the line animation, a compelling story and an enthralling character progression arc via its titular protagonist, the series stands as one of the highest achievements in the medium and a sure-fire hit for anyone looking for a good show. At only 13 episodes, however, it’s easy to deplete the series in one or two viewing sessions and leave yourself wanting so much more. To that end, we’ve got seven anime like Violet Evergarden if you’re looking for something similar. Quiet, contemplative and ethereal in tone, Mushi-Shi is the perfect series for when you want to relax and chill out with a good show. 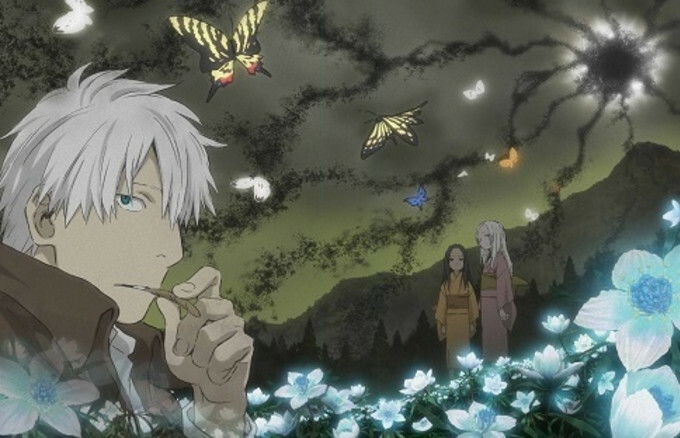 Set between the Edo and Meiji periods in Japan, the series follows Ginko, a Mushi Master who wanders the country in search of supernatural beings known as Mushi. Lingering on the edge of our world and the next, these creatures can bring fortune or ruin to human beings at the drop of a hat, leaving Ginko to discover ways to keep them in check and set the world back to its rightful order. Where other series would veer toward action with a plot like this, Mushi-Shi instead takes a more thoughtful approach to each new creature or encounter. Instead of some climactic fight, problems are solved by learning about creatures and people, analyzing why their lives intersected and trying to achieve a sort of coexistence that benefits both sides. It’s a refreshing change of pace for an anime series, and a perfect experience for anyone who enjoys a more down-to-earth take on the fantastical.